Hazardous conditions can rise slowly and sometimes undetectable. 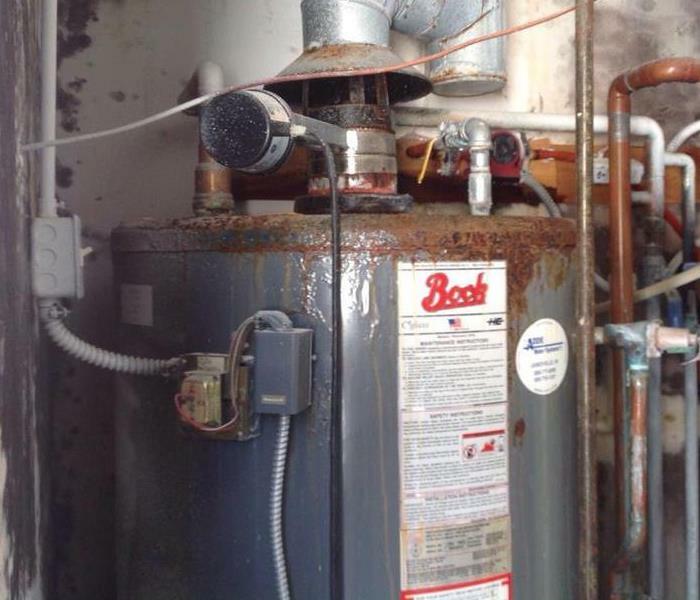 When rust caused a water meter to break in a near by residence it caused a significant amount of standing water in their basement, they gave SERVPRO a call. Immediately our crew of highly trained individuals arrived on the scene and was able to assess the damages. 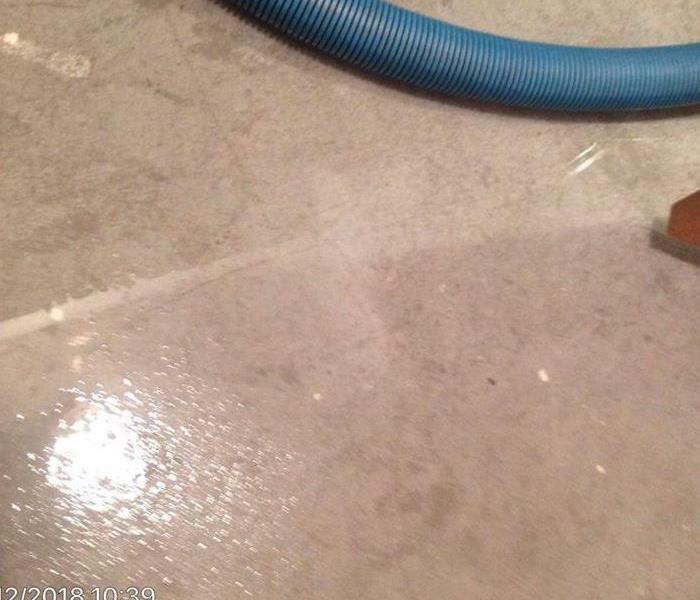 Water has the ability to infiltrate through multiple surfaces such as flooring and drywall. 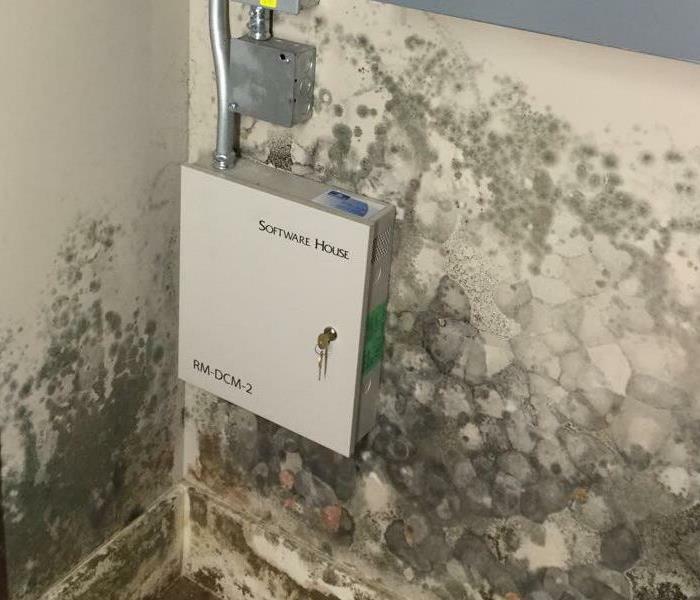 When this happens the potential of mold and other dangerous side effects increases drastically. Always consider calling for professional help when facing these types of situations. Severe weather brings many levels of damage your home or business can experience. Frozen pipes during the winter can cause cracks and ruptures that can affect the entirety of your home. 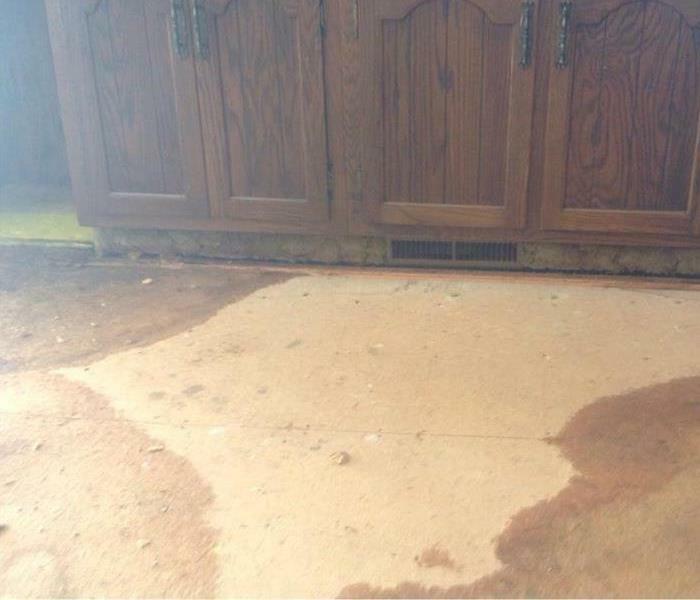 Trust the experts at SERVPRO to help mediate the situation and begin repairs! 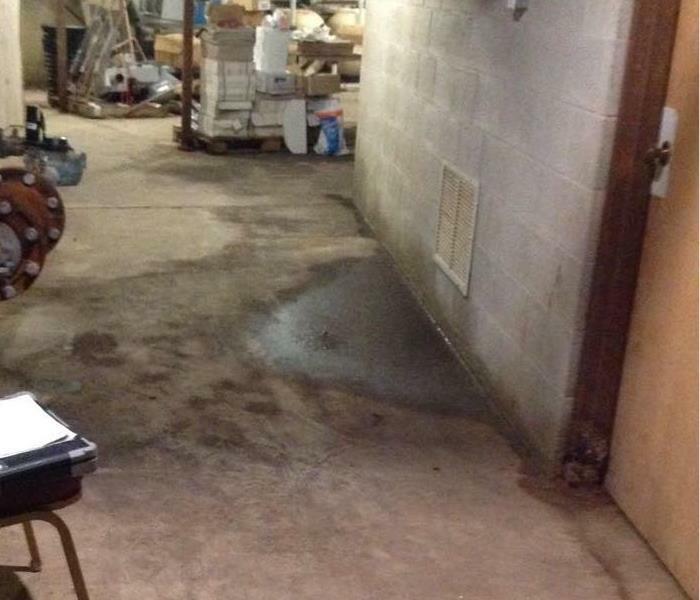 When a local resident experienced standing water in their basement from recent storm waters, they gave our team a call. We were able to safely extract the excess water and dry out the surrounding area. 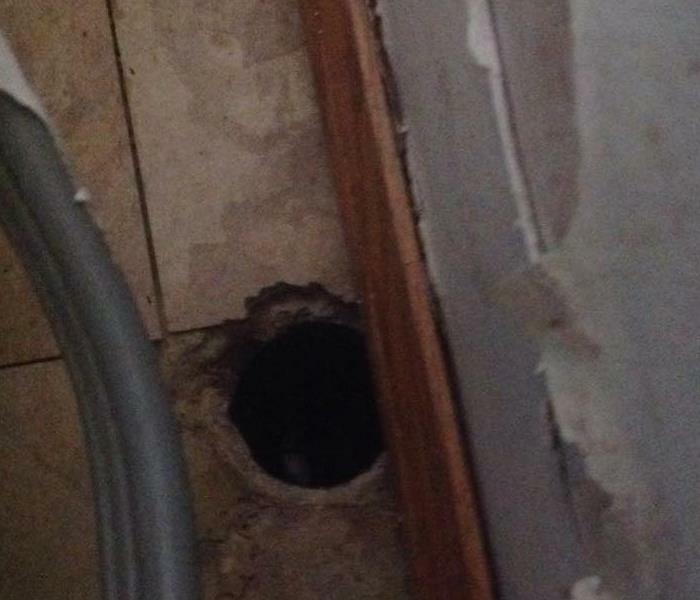 When a local resident had a sewage back up into their finished basement, they gave us a call. We were able to complete the restoration process to fully sanitize and repair the damages they sustained. 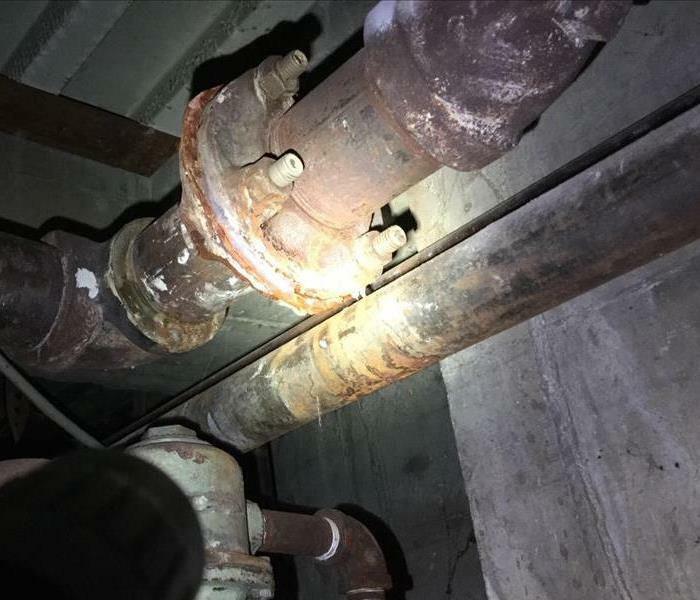 When a local elementary school had an excessive water issue from a burst pipe they gave our experts a call. We were able to dry out the affected area and allow classes to resume in a timely and efficient manner. Water damage of any kind can knock the wind out of your business's sails. Having to keep the doors closed while repairs are completed can also cost you productivity. Give us a call today and our team of experts can help you get back on your feet, faster! 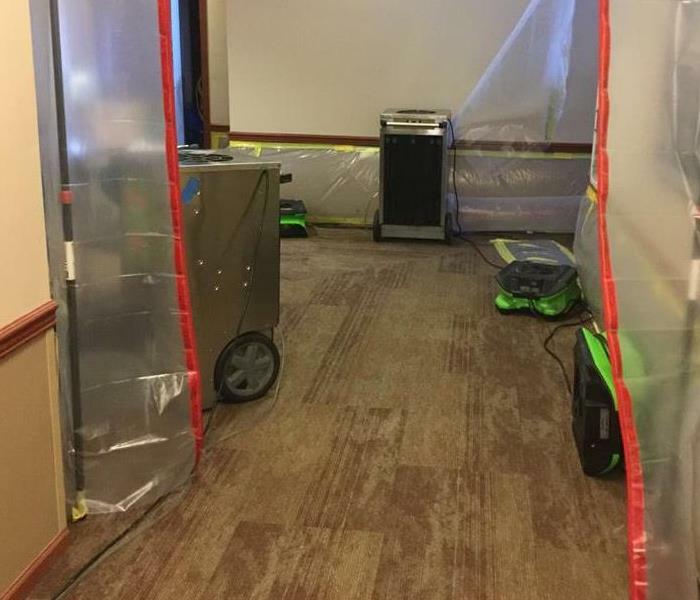 When a local apartment complex had an unexpected water heater implosion, they trusted our compassionate crew at SERVPRO to help repair damages. With our expertise we were able to immediately begin repairs to get them back on their feet. When a neighboring business was surprised by unwanted water damage, they gave our team of highly trained and helpful individuals a call. We were able to identify the broken sprinkler and begin repairs on the effected areas. 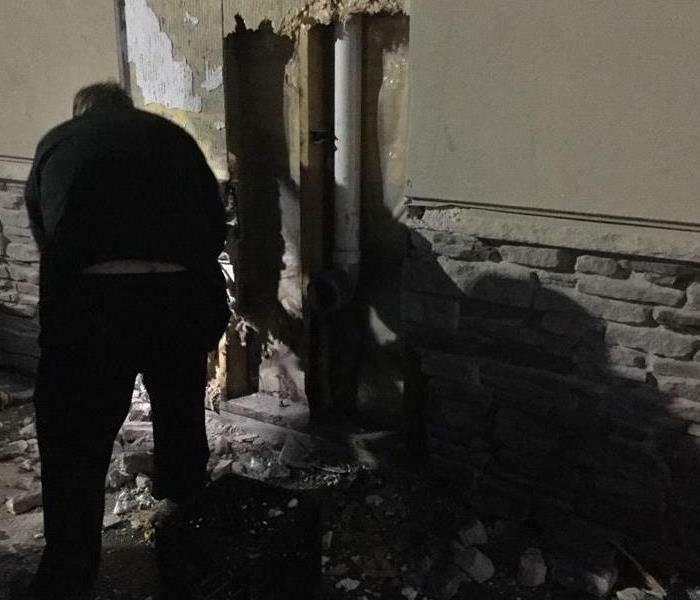 When a local business experienced and unexpected pipe break, multiple rooms of the establishment needed to be tended to. Water damage brings with it the potential of mold and other distressing after effects. Give SERVPRO a call to help with the mess! When sewer issues arise, call non other than your friendly and highly skilled neighbors at SERVPRO. We are able to completely asses the areas affected and will hunt down the source of the issues while prepping for repairs. 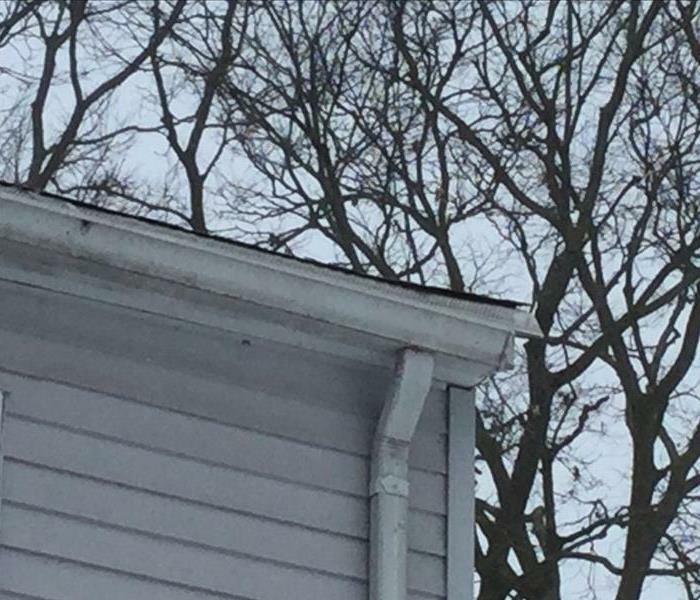 When ice accumulates on your roof or gutters, it can cause severe damages. Our highly skilled and trained professionals can assess the damages done and create a safe environment to begin repairs. When structural damage occurs due to sever weather, you can count on SERVPRO to assess the damages and immediately begin the restoration process. Fallen trees are a common occurrence and can pack quite a wallop to surrounding buildings. With top of the line equipment and highly skilled professionals on your side, no job is too big and no damage is too extensive. 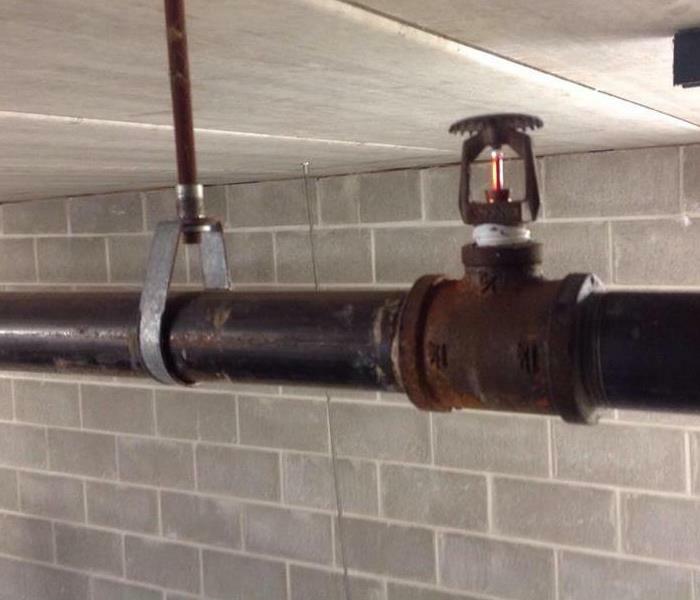 A broken pipe can be a huge headache and an even bigger mess. Let us take care of the dirty work for you! SERVPRO employees undergo extensive training to be equipped and well prepared for what each disaster may bring. Mold is a dangerous material to handle without professional help. You can count on us to help mitigate the situation and safely repair the damages for you without risking your personal health. When a fire ignites within your home or business, there is a limited amount of time to react. 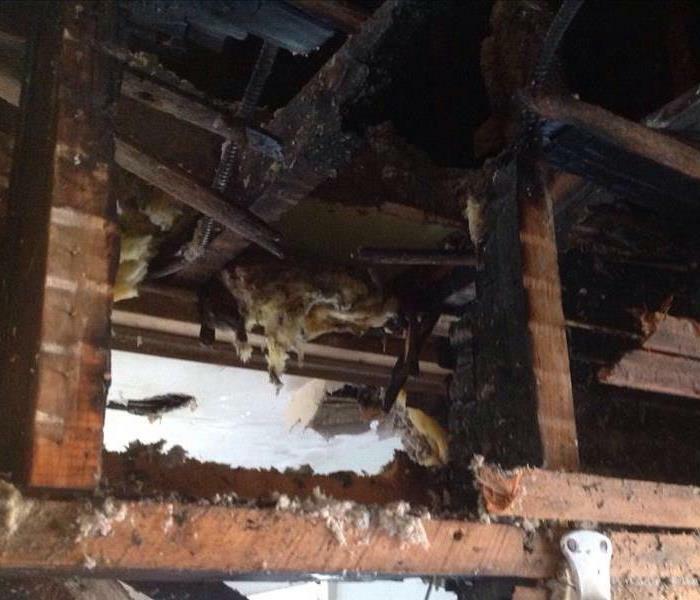 When one of our local residents experienced an electrical fire, the damages to their home were immediate. 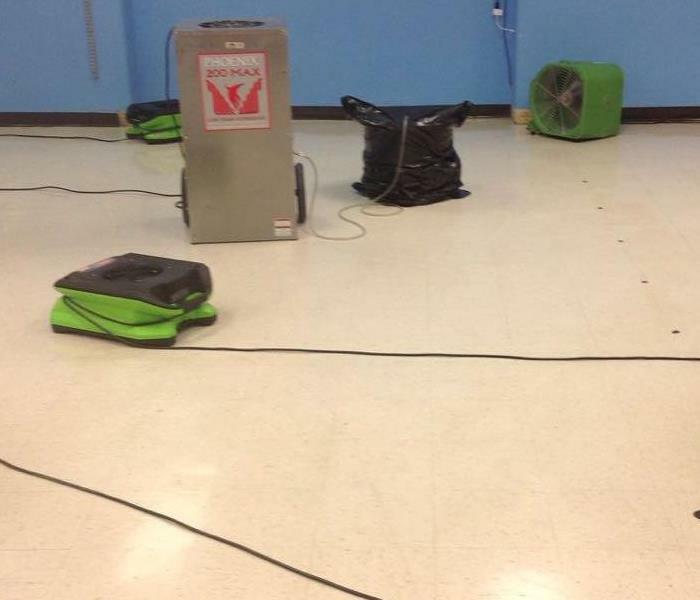 SERVPRO experts were able to begin repairs upon arrival. When a local business experienced fire they put their trust into our hands. We immediately assessed the extent of damages and began repairs. When fires occur, soot and smoke related issues are sure to accompany it. Our skilled technicians are here to help you every step of the way! 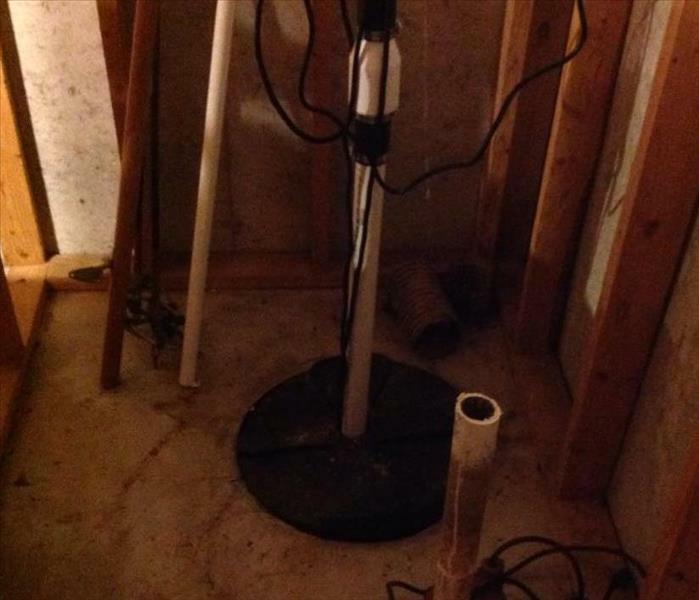 Pump, Dont Fail Me Now..
One of the most damaging and common water damage occurrences can be traced back to sump pump failures. These can be disastrous as they can effect any area of your home including surfaces and flooring. SERVPRO technicians are able to fully assess the extent of damages, as well as sanitize and start the reconstruction process and oversee the job until completion. A slow leak can become a huge problem over time! 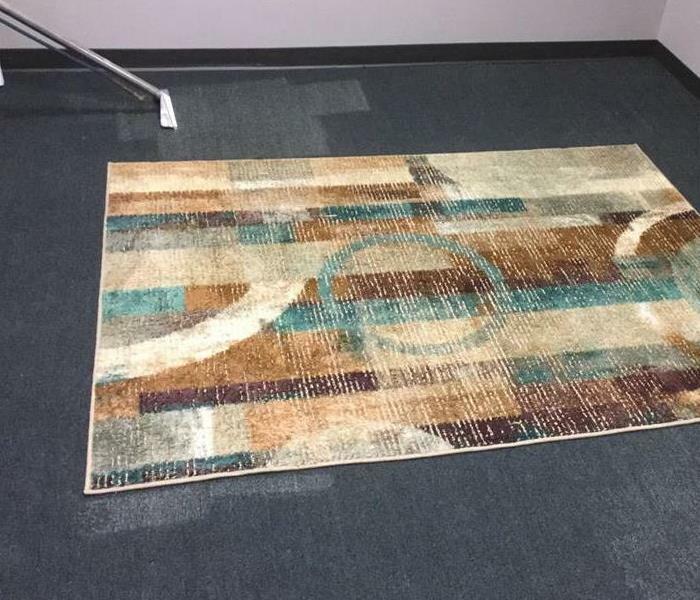 It can go unnoticed if the area affected isn't utilized frequently which brings along with it the risk of warped flooring and the potential of mold spreading. Your friends at SERVPRO have the skills and tools to extract water from the surfaces and walls of your home, diligently and effectively. When extracting water from carpeted areas you can actually see the difference in coloration in perfect lines as pictured. 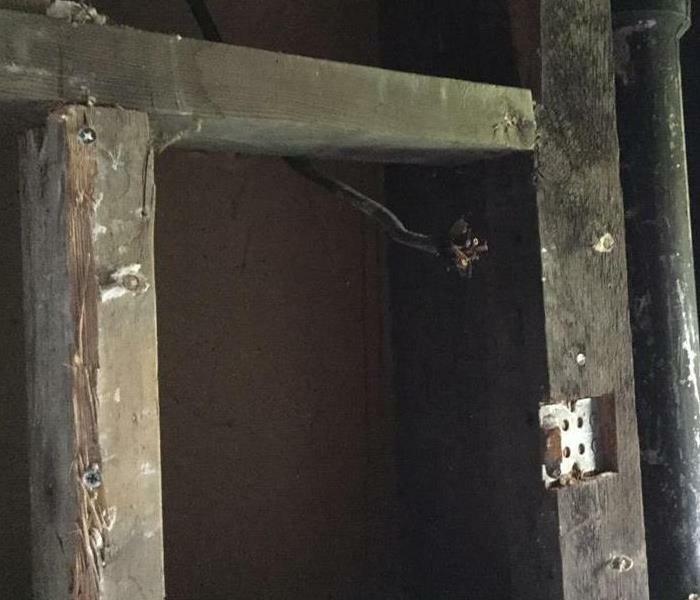 Electrical fires can leave your home sustaining major damage. 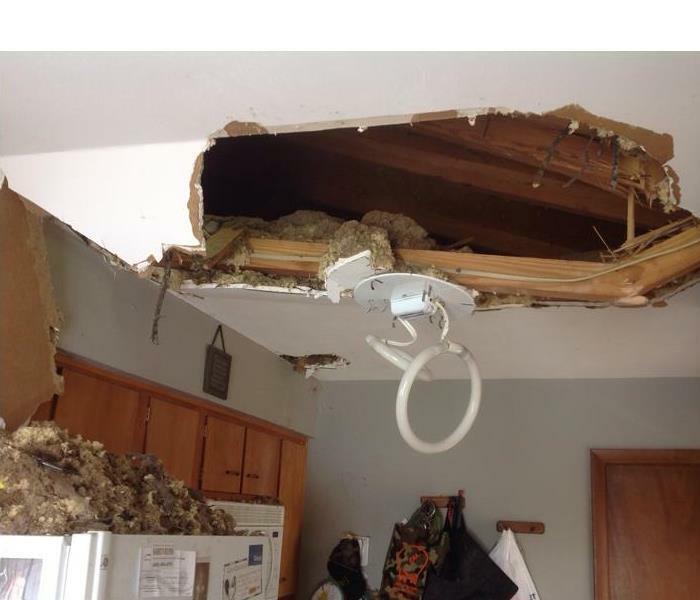 When one of our residents experienced this very occurrence, Lake Geneva SERVPRO was there to do an emergency board up before restoration could commence. 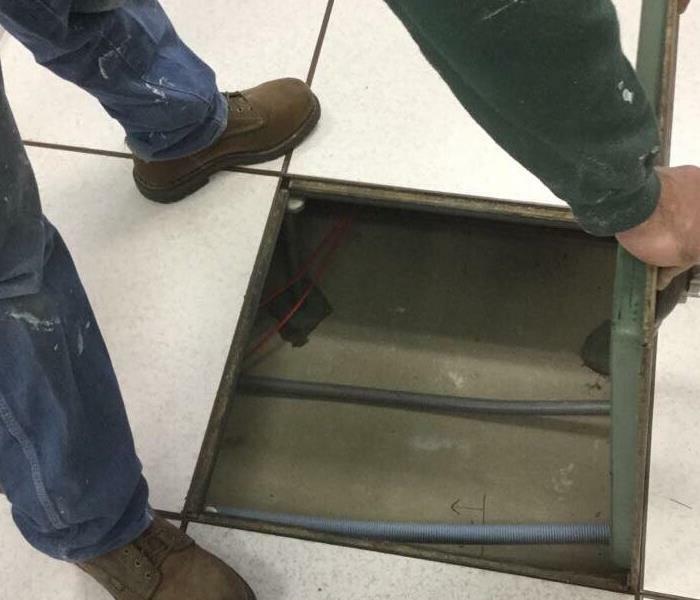 Accidents can happen in the most unexpected places. 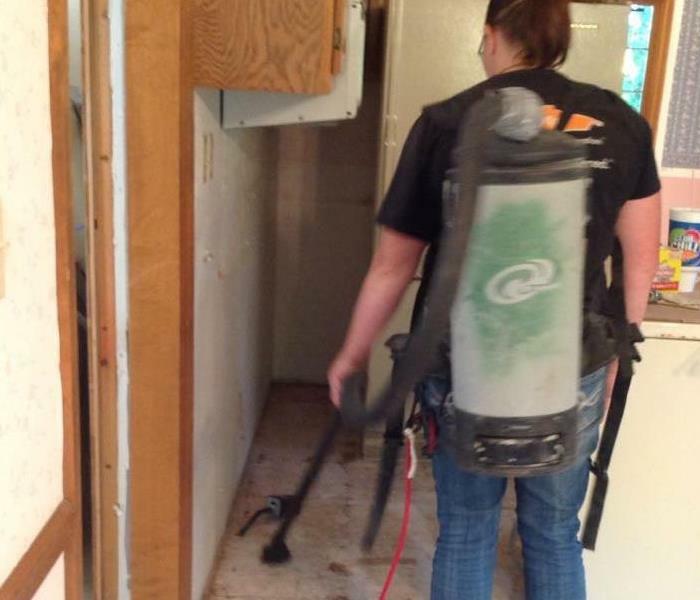 When a local resident had a flooded washer, Lake Geneva SERVPRO was on the case. We were able to start restoration and get the area dried. 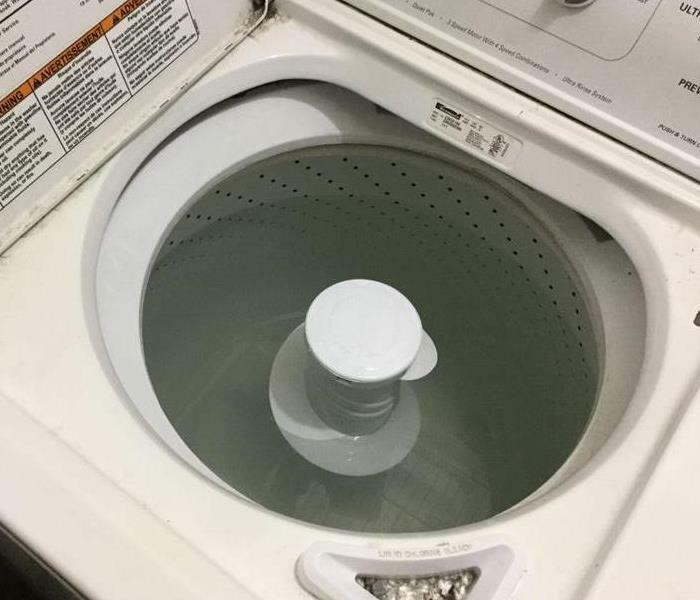 We wont fail you, but your washer might! 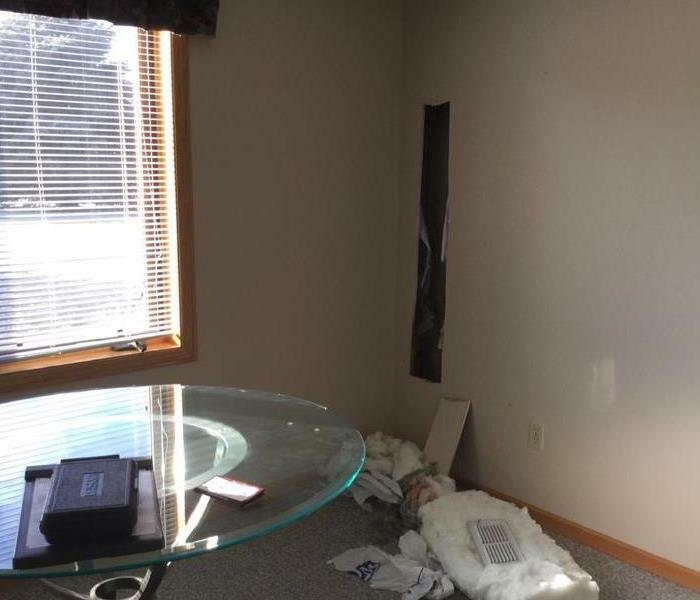 When a local resident experienced water damage from a broken spigot, SERVPRO of Lake Geneva arrived immediately and was able to asses the damages and begin restoration. We are always here for you when things go wrong. SERVPRO of Lake Geneva was called to a local residence for mold removal and sanitation. 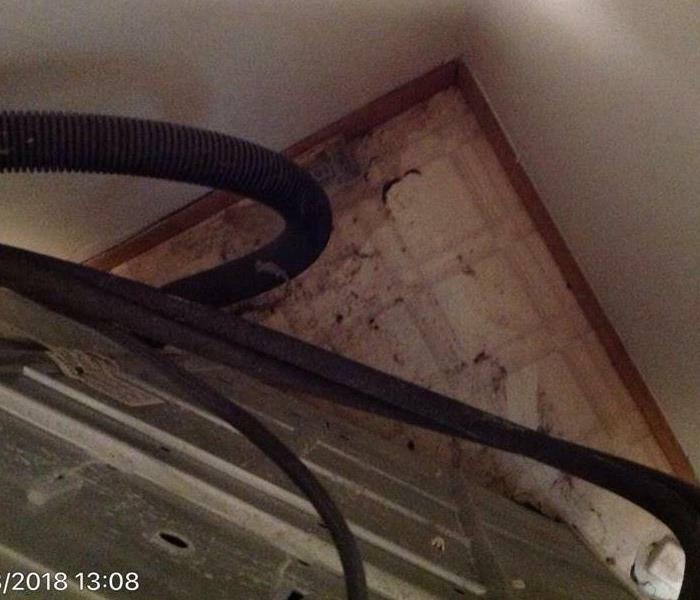 Mold has the potential to spread when being cleaned which can cause extreme health issues. Always seek professional assistance for these situations. We are here to help! 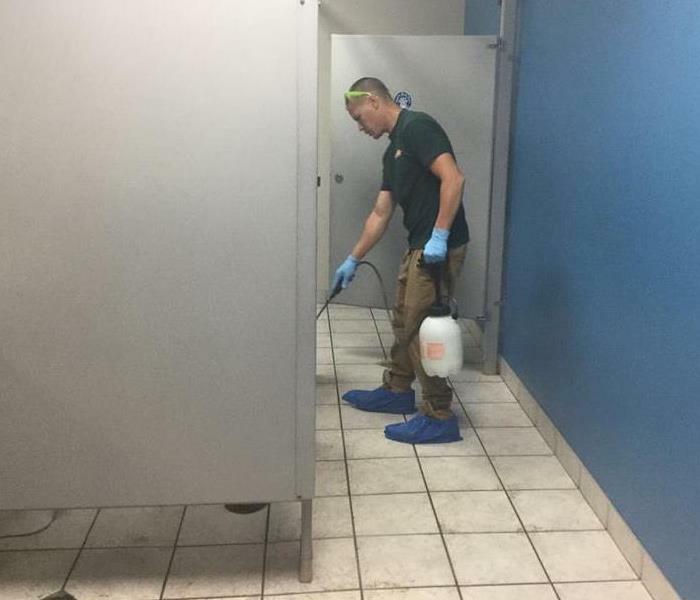 When a local business experienced a flooded bathroom, our technicians at SERVPRO of Lake Geneva were called to aid. Sanitizing the contaminated materials and getting the business back in business. What we do best! 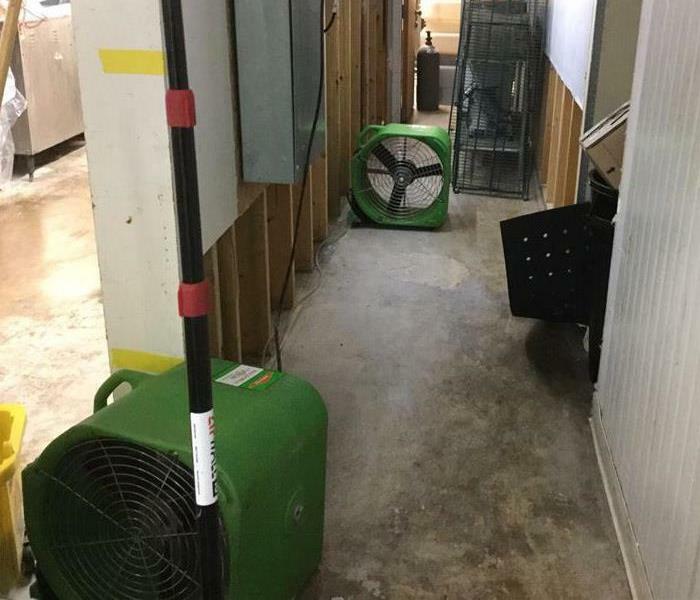 When a local business had experienced a basement flood, SERVPRO of Lake Geneva was able to get the situation under control. With state of the art equipment and skilled professionals on the scene, we were able to complete our work quickly and efficiently. 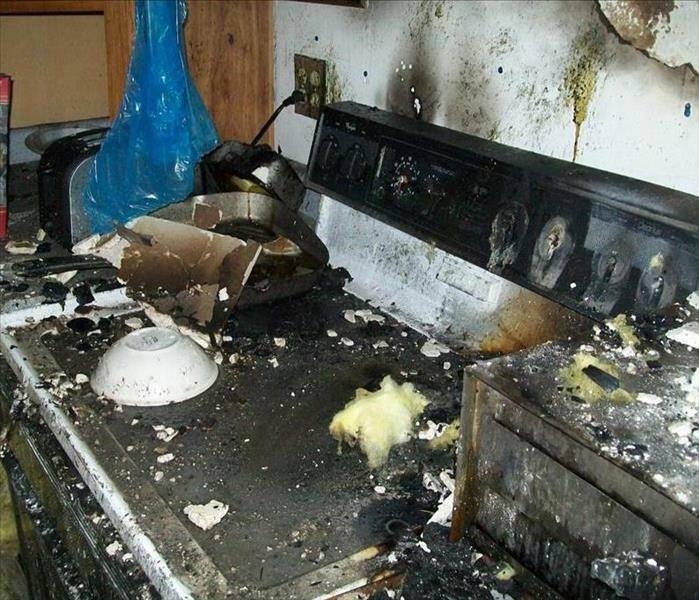 Aftermath of a kitchen fires can be an overwhelming site to behold. Along with the fire itself, soot and smoke residue are issues that must be addressed. Give us a call, we are here to help.